Wondering what you should listen to next? Take this insightful quiz and find out right now! You will be pleasantly surprised to find a new band or artist, or even album. 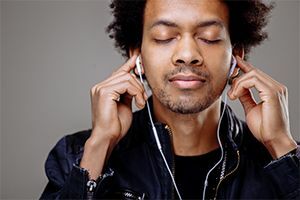 Answer these questions about yourself and your musical tastes, and let this insightful quiz tell you what you should listen to next. You may be surprised! Maybe you should listen to classical music to study, relax, or soothe yourself to sleep. Maybe you need something upbeat and exciting to feel pumped up for a workout?